As well as our standard products suitable for many CCTV and associated applications, we also cater fully for the more specific requirements of petrochemical and large scale perimeter security installations that have stringent specifications to comply with. We have specialist in house software that enables us to model all of our CCTV and associated products, using our vast data base within the software, of camera equipment and other equipment commonly mounted on our structures. We are able to provide the following project by project design support. Many projects require more than the stated equipment loading shown in our product technical tables and this is a common requirement on many petrochemical installations, where explosion proof housings and equipment boxes are being used. 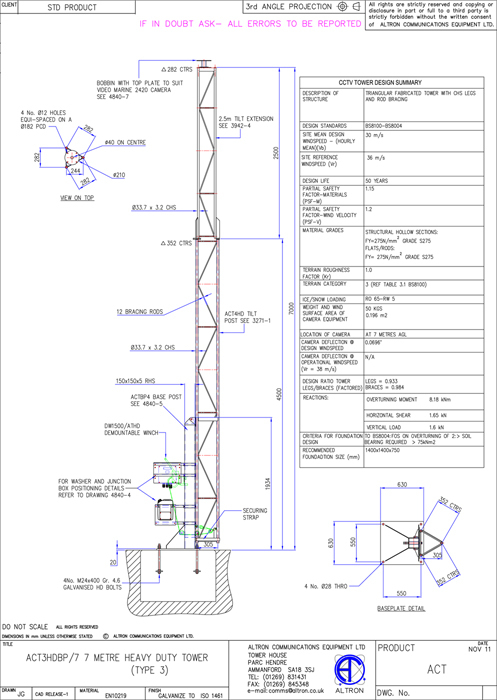 We prove the structures loading capabilities within our software and where necessary, propose heavier structures suitable for the increased loads. 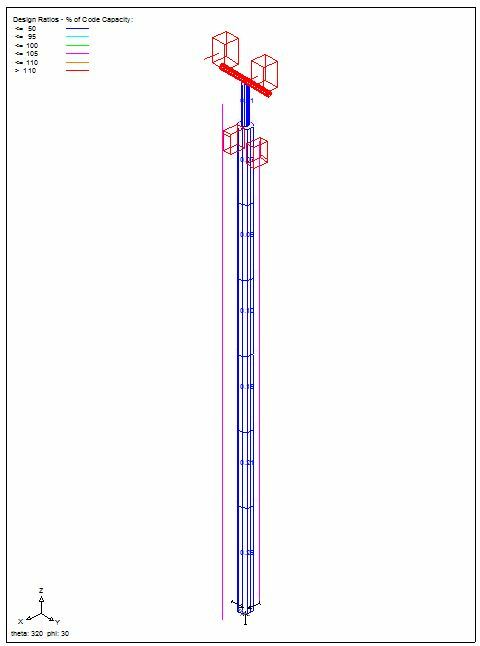 In conjunction with the above, we can confirm the maximum equipment loading for maximum design wind speeds to comply with project specifications. 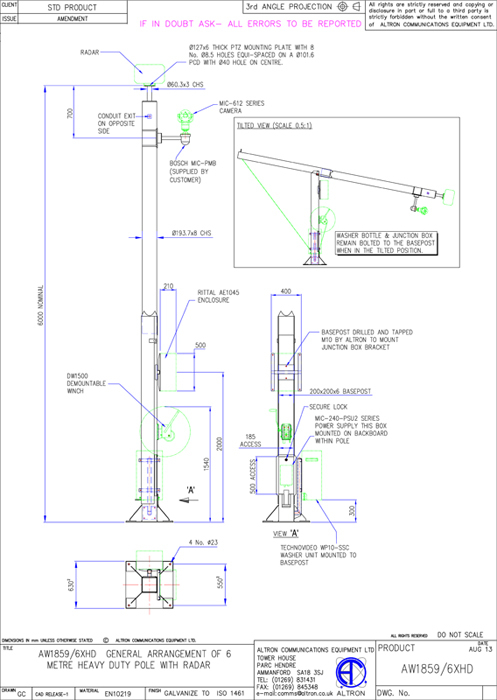 Where there is a requirement for a maximum deflection to be kept within at a specified operational wind speed, we can model the equipment required on the project and confirm if a standard product is suitable or if necessary propose heavy duty, more rigid products to comply with the deflection requirements. 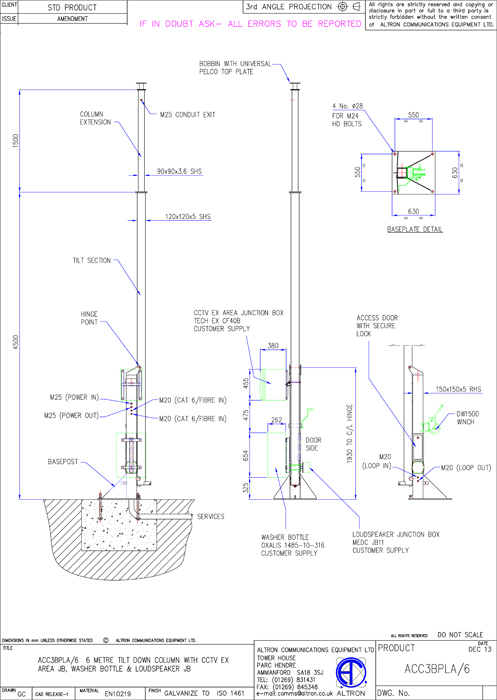 We provide both a standard foundation sizing service using our library of foundations designs for various base reactions, for specific project site loading and can provide specific foundation designs based on project requirements.